We too ponder the birth of Jesus. 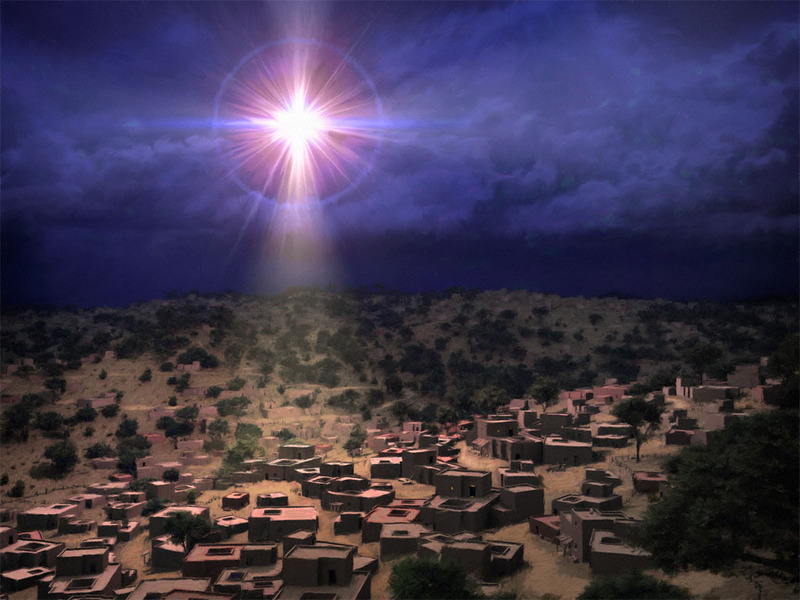 The words of Joseph Mohr’s “Silent Night, Holy Night” draw us to awe and wonder. Every Christmas Eve, when the lights dim and carols are sung, I’m drawn once more into the mystery of Christ’s coming in Bethlehem so long ago. Near the end of the service when we sing the words, Silent Night, Holy Night my heart grows still with the power of love revealed in Jesus. Today as you sing these words, may your own heart be warmed with God’s love. ’round yon virgin mother and child! Jesus, Lord, at Thy birth! This entry was posted in Advent, Advent & Christmastide Devotions 2017-2018, Christmas & Epiphany, Grace and tagged and laid him in a manger, And she gave birth to her firstborn son and wrapped him in bands of cloth, because there was no place for them in the inn, Christmas Eve, Infant Jesus, Luke 2:1-7, Mary, mystery of Christ's coming, Silent Night Holy Night. Bookmark the permalink. Thanks Mitch – May your Christmas be filled with blessings.